I Highly Recommend Royal Kia because right from the beginning they make you feel so very Welcome They never tried to pressure me into anything I told them what I was looking for and my Salesman Jesus Camargo showed me my options and it was my decision He wanted me to get something I was comfortable with financially and that I wanted, and I sure did, I had made a Friend also that Day, Thank Everyone for Everything and Especially Jesus Camargo. Very nice. Love the flowers . I bought my car there and needed a sun shield. I called and went and picked it up. Those people are the greatest people I've ever worked with. 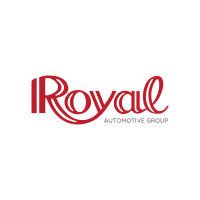 I'll never buy another car from anyone but Royal Kia!!! I have bought a brand new car in the past and it took me several days all day long at the dealership to be able to walk away with the vehicle. I applied online at this dealership and came in on a Saturday morning, and I was all taken care of in less than 2 hours. Just car buying experience was incredibly easy they had the vehicle that I was looking for picked out and ready for me when I got here to look at. A salesperson was incredibly helpful and friendly as well as the person that looked over my trade.